Based on the fast affiliate numbers, it wasn’t a great night for ABC. All three of their ongoing shows were down week-to-week — Last Man Standing (-12%), The River (-47%), and Body of Proof (-25%). Cougar Town was down by 47% when compared to the season two premiere in September 2010. Still, the network has found a way to put a positive spin on their numbers. You can check out our ratings pages for Last Man Standing, Cougar Town, The River, and Body of Proof to see the week-to-week ratings trends, averages, rankings and more. Look below for the network’s spin on the numbers. Some early info on ABC’s Tuesday, ahead of the regular press release. With its 8-9pm comedies (Last Man Standing/Cougar Town), The River and Body of Proof, ABC was up over the same Tuesday last year (also an all-original schedule) by 12% in Total Viewers and by 7% in Adults 18-49. Please note: On Valentine’s Day, overall Adult 18-49 TV Usage levels were down a significant -7% from the prior Tuesday. At 8pm against CBS’ top-rated NCIS, ABC’s Last Man Standing outdrew Fox’s Glee by 13% and NBC’s The Biggest Loser by 31% in Total Viewers. · ABC self-starter Last Man Standing at 8pm continued to finish as Tuesday’s most-watched comedy overall, outdrawing Fox’s Glee-led New Girl at 9pm by 1.0 million viewers. Delivering greatly improved lead-in retention in the slot out of Last Man Standing at 8:30pm (82% vs. 69% on average this season), ABC’s season premiere of Cougar Town posted impressive year-over-year growth in the half-hour, surging by 20% in Adults 18-49 over original programming on the same night last year. During the 9 o’clock hour, ABC’s The River built on its lead-in among Total Viewers (+4%), while holding nearly all of its Adult 18-49 lead (94%). On its first original telecast in 4 weeks, ABC’s Body of Proof built sharply on its lead-in at 10pm (+24%) to outdraw NBC’s Parenthood during the hour by 1.8 million viewers. · The ABC sophomore drama improved its hour year to year by 1.0 million viewers, topping original drama programming on the same night last year. With its 8:00-9:00 p.m. comedies (“Last Man Standing”/”Cougar Town”), “The River” and “Body of Proof,” ABC was up over the same Tuesday last year (also an all-original schedule on 2/15/11) by 12% in Total Viewers (5.8 million vs. 5.2 million) and by 7% in Adults 18-49 (1.6/4 vs. 1.5/4). Please note: On Valentine’s Day, overall Adult 18-49 TV usage levels were down a significant -7% from the prior Tuesday (36.6% vs. 39.4%). At 8:00 p.m. against CBS’ top-rated “NCIS,” ABC’s “Last Man Standing” (7.6 million) outdrew Fox’s “Glee” (6.7 million) by 13% and NBC’s “The Biggest Loser” by 31% (5.8 million) in Total Viewers. · ABC self-starter “Last Man Standing” at 8:00 p.m. continued to finish as Tuesday’s most-watched comedy overall, outdrawing Fox’s “Glee”-led “New Girl” (6.6 million) at 9:00 p.m. by 1.0 million viewers. Delivering greatly improved lead-in retention in the slot out of “Last Man Standing” at 8:30 p.m. (82% vs. 69% on average this season), ABC’s season premiere of “Cougar Town” posted impressive year-over-year growth in the half-hour, surging by 20% in Adults 18-49 over original programming on the same night last year (1.8/5 vs. 1.5/4 = “No Ordinary Family”). · In addition to earning improved lead-in retention at 8:30 p.m. with Adults 18-49 (82%) and Adults 18-34 (92%), “Cougar Town” built on its lead-in by 15% with Women 18-34. During the 9 o’clock hour, ABC’s “The River” built on its lead-in among Total Viewers (+4% – 5.0 million vs. 4.8 million), while holding nearly its entire Adult 18-49 lead (94% – 1.7/4 vs. 1.8/5). On its first original telecast in 4 weeks, ABC’s “Body of Proof” built sharply on its lead-in at 10:00 p.m. (+24%) to outdraw NBC’s “Parenthood” during the hour by 1.8 million viewers (6.2 million vs. 4.4 million). · The ABC sophomore drama improved its hour year to year by 1.0 million viewers, topping original drama programming on the same night last year (“Detroit 1-8-7” = 5.2 million). A note about increasing DVR penetration and year-to-year rating comparisons: Year-to-year rating comparisons based on the Live + Same Day data stream are distorted by the level of DVR penetration in the Nielsen sample, which has jumped up to 43% currently, from 39% at the same point in 2011. More viewers are watching shows on their own timetables, which may not be reflected in the overnight next day numbers. The only truly valid year-to-year comparison would be one based on the Live + 7 Day metric, once those stats are released by Nielsen. Source: The Nielsen Company (Fast Affiliate, Live + Same Day Ratings), 02/14/12. What do you think? Were you watching any of these ABC shows last night? Do you think Valentine’s Day negatively impacted the ratings? 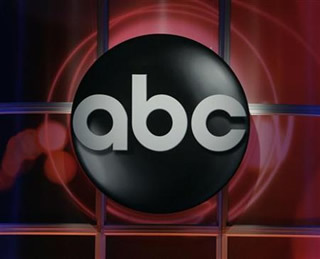 I stopped watching ABC on April 14th except for All My Children and One Life to Live. Now that they are gone, I have blocked ABC from my satellite box, so ABC no longer exists for me.